Hoovering a carpet once per week is not enough in order to get rid of all hidden pollutants. If you want to be sure that you are living in a healthy and well-sanitised environment you should have all carpets in your house professionally cleaned at least twice per year. There are many cleaning companies in North London that you can turn to, however, only with us you will receive a reliable cleaning solution at a price that suits you completely. We are a serious and trustworthy cleaning contractor with vast experience in the field of cleaning. With us you are always on the safe side because our skilful technicians are masters at carpet cleaning and the high results of their work are deeply appreciated by every customer. 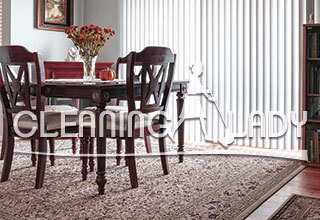 Using only specialised cleaning methods, they are able to restore the brilliance of every filthy carpet. You know that we are the right cleaning company to turn to because we employ only hard working and knowledgeable cleaning experts, who would always go the extra mile in order to make our customers extremely satisfied. Supplied with a steam machine and other non-toxic cleaning materials, they will clean precisely every area of your carpet without making a mess. Our diligent operatives always work hard and achieve the best possible results. Once in your home, our representative will begin with analysing the condition of the carpet and making a preliminary cleaning of any heavily soiled areas. After that, they will carry out a profound steam cleaning, which will eliminate all dirt and debris. In the end, they will extract the moisture and leave the dump carpet to dry. If our offer seems attractive to you, don’t hesitate to contact us. We will give you the information that you need as well as a free price estimate.